While Cinequest draws to a close, another film festival is right around the corner. The Center for Asian American media is presenting the International Asian American Film Festival in the Bay Area, and it's coming to San Jose for the 10th time. 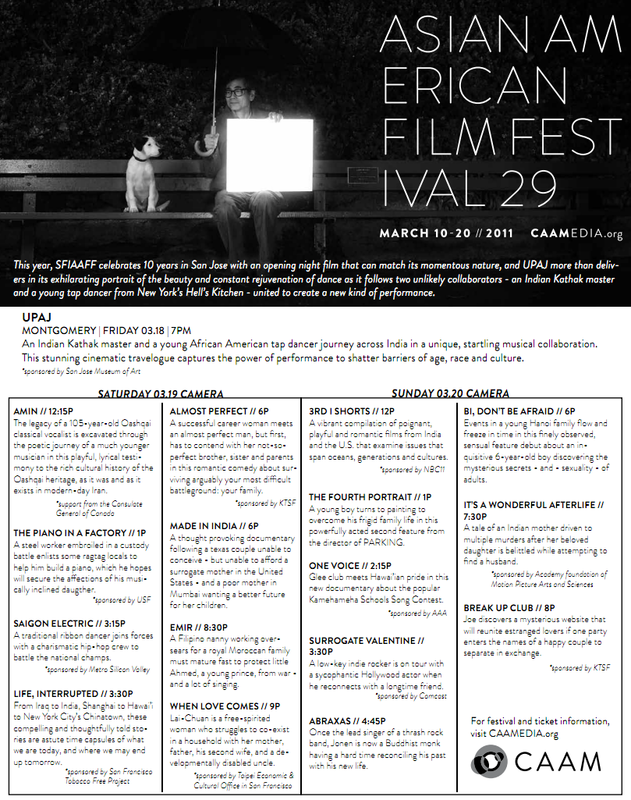 Camera 12 will host the closing weekend of the festival on March 19th and 20th. For more information on the films and festivities, just click the image below to enlarge or click this link. You have to love the Asian Film Festival, but don't go there looking to see Godzilla.